Film-Arcade.net: Official Stills for the Upcoming Thriller "Blood in the Water"
Official Stills for the Upcoming Thriller "Blood in the Water"
Level 33 Entertainment recently send us stills for their upcoming film "Blood in the Water". 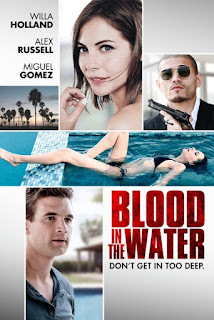 The film stars Alex Russell (Chronicle), Willa Holland (Arrow, Gossip Girls) and Miguel Gomez (Southpaw, The Strain). "Blood in the Water" hits VOD and theaters in limited release on August 26th.